How do we categorize Low Vision? 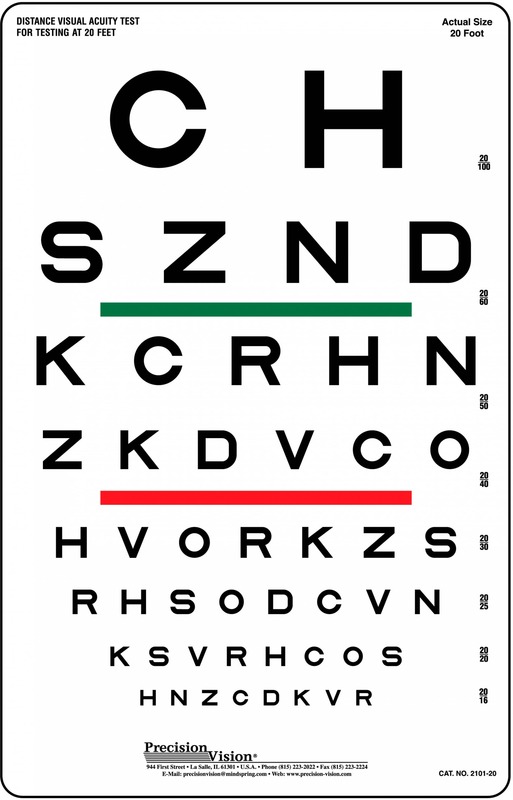 How do we measure letter chart acuity for low vision patients? How do we measure reading acuity for low vision patients? How do I use the Modified Snellen Formula for reading tests? Low vision is not a single condition. When we say that individuals have “Low Vision”, the word low indicates that their vision is lower than normal, while the word vision indicates that they are not blind. Vision loss is a continuum, not a black-or-white condition. Unfortunately, the widespread use of the term “legal blindness” has promoted black-or-white thinking and thus the thought that people who cannot make out the big E on the letter chart are as bad off as if they had no vision at all and that “nothing can be done” about it. This common misperception has severely hampered the acceptance of vision rehabilitation. Whatever their level of remaining vision, individuals with low vision can be helped to make maximal use of their remaining vision and thus to improve their quality of life and participation in society through vision rehabilitation. Individuals with low vision vary significantly in their capabilities. No single statement can cover all conditions. On a continuum all sharp cut-offs are arbitrary. It may help however to place some markers as points of reference. Table 3 lists the ranges recognized in ICD-9-CM, by the WHO and by the International Council of Ophthalmology. It should be recognized that the stated ranges are not sharply defined and represent statistical averages; individual performance may be better or worse than the statistical average. The first columns of Table 3 indicate broad ranges. The next columns indicate a visual function measure (how well the EYE functions), in this case visual acuity with various notations, which were also given in Table 1. The right hand columns indicate functional vision (how well the PERSON functions). The first column indicates the MAgnification Requirement (MAR = 1/V); it equals the denominator of the 1m Snellen fraction. The next column indicates the distance at which 1 M print (average newsprint) is just visible; if expressed in meters, it equals the decimal acuity. The last column discusses the average reading performance. The Range of normal vision covers 20/12.5 to 20/25. Note that the visual acuity scale is not truncated at 20/20. 20/20 is a reference standard; it is not perfect vision. Snellen choose this standard so that all healthy young adults exceed it. This range allows reading of newsprint (1 M) at 80 to 160 cm. Since normal reading is at about 40 cm, there is a very comfortable reserve. The next range of Mild vision loss allows reading of newsprint at 32 to 63 cm (13 to 25”). This means that the comfortable reserve is gone, but that the average performance is not seriously compromised. Moderate vision loss is said to exist when visual acuity drops below 20/63. This is the level where the WHO classifies persons as having “low vision”. The reading distance for 1 M print drops below 25 cm (10”); note that this also is the reference point for the strength of magnifiers. With strong reading glasses or low power magnifiers, most tasks can still be performed without significant restrictions. Large print books are appreciated. At 20/200 we enter the range of Severe vision loss. In the US individuals at this level are eligible for “legal blindness” benefits. They need stronger magnifiers with a more restricted field of view and perform slower. At a reading distance of less than 10 cm (4”) binocular viewing is no longer possible. Viewing with a magnifier must be monocular, but with a videomagnifier the larger image can still be viewed binocularly. Vision substitution (use of senses other than vision) may be helpful. For recreational reading some may prefer talking books. Below 20/400 we speak of Profound vision loss; the WHO and many European countries consider this level (<3/60) as “legal blindness”. In this range, vision is still useful for orientation, but reading becomes marginal. There is a shift towards more use of vision substitution skills. The range below 20/1000 is recognized as Near-blindness in ICD-9-CM. In this range vision substitution is dominant, although remaining vision may still be used as an adjunct. Note: This table describes average adult performance. It does not apply directly to children. For instance: where adults use magnifiers, young children may use their strong accommodative power to observe objects up close. Letter chart acuity represents only one aspect of vision. Yet it is important, (a) because it is so widely used, and (b) because it provides a direct measure of the MAgnification Requirement (MAR = 1/V) of the patient. Traditional letter charts were primarily designed for the normal and near-normal range. At the 20/100 level most have only two letters. Snellen knew this and recommended to use a reduced testing distance for lower visual acuity levels. The ETDRS charts extend measurement to 20/200, but this still does not address the ranges of severe and profound vision loss in Table 3. The Colenbrander 1-meter chart addresses this problem. 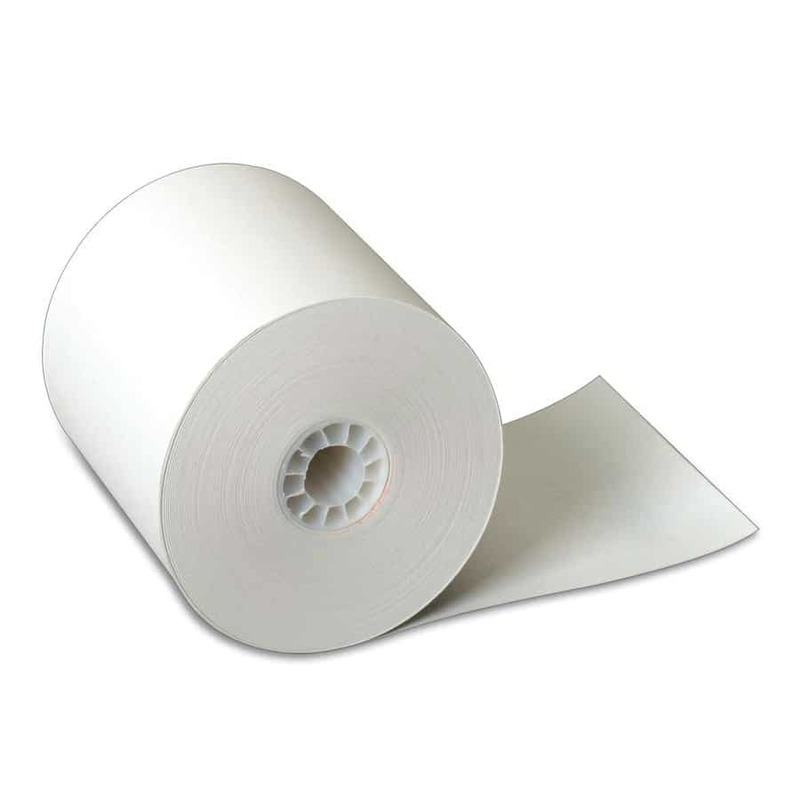 The chart is designed for use at 1 meter and thus has a six times wider measurement range than charts designed for 6 meters (20 ft). The chart comes with a 1 m cord and occluder attached, so that the 1 m testing distance can be accurately maintained. Letter sizes range from 1 M to 50 M, so that visual acuities from 1/1 (20/20) to 1/50 (20/1000) can be measured accurately. The layout follows the ETDRS layout with five Sloan letters per line (except for the two largest lines). The chart folds for easy transportation in an attaché case or for storage in a desk drawer. Precision vision also has variants with Patti Pics and with PV numbers. With this chart the use of vague guesstimates, such as “count fingers” or “hand motions” can be a thing of the past. Its use is not limited to vision rehabilitation settings, but is indicated for any clinician who wants to accurately follow the progress of patients with visual acuity of 20/100 or worse. 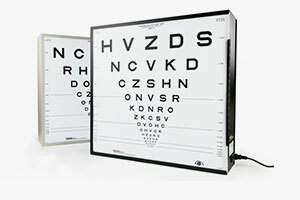 Testing at 1 meter has an important psychological effect for patients who previously “could not see anything” on a traditional letter chart and now realize that their vision may be limited, but that they are not blind. When testing for optical problems (refractive error, opacities) there usually is a fairly sharp cut-off from lines that are read to lines that are not recognized. Thus, it is acceptable to test only the lines around that cut-off value. When testing for retinal problems (like AMD), on the other hand, the topography of the vision loss is important. Additional information can be gained by having the patient read the entire chart. Patients who miss the first (last) letters on several lines, may have a scotoma to the left (right) of fixation. Patients who read the first large lines slowly and then speed up may have a small remaining island that is not large enough for the largest letters. Do not point to letters or isolate letters. We are more interested in how well patients can perform with their own fixation ability, than in the smallest detail they can see in an isolated symbol. Reading is the most important ability persons with visual complaints want to regain. Reading performance has two aspects. The first is the visual function aspect (how the EYE functions); the second is the functional vision aspect (how the PERSON functions). Under the visual function aspect we are primarily interested in reading acuity – what is the smallest print that can be read at a given distance. We may also consider reading speed. Under the functional vision aspect, we are interested in other aspects, such as reading fluency, reading endurance and reading comprehension. The latter aspects are rarely considered in a routine eye exam, but are very important in the context of vision rehabilitation, where specific training regimens have been developed to help patients with low vision regain reading skills. If the focus is only on strictly optical problems (as for presbyopia), the use of near-vision letter charts is appropriate. For a more comprehensive evaluation of patients who may also have retinal problems (as in AMD), reading tests are more appropriate, because reading fluency involves a larger retinal area than does letter recognition, in part because of the need to recognize whole words, in part because of the need to guide scanning eye movements to the next word. Reading tests come in various formats. A continuing story is most useful for testing reading speed and reading endurance. However, reading a continuing story is considered too time-consuming for use in the average office. It may be part of a homework assignment in vision rehabilitation training. The availability of contextual cues lowers the error rate. Unrelated sentences offer contextual cues within each sentence, but not from line to line. Traditional cards often have short sentences with large print and longer sentences with smaller print. This makes it difficult to compare reading speeds. Cards with standardized sentences with a fixed number of spaces and characters are preferred. Precision Vision offers the Colenbrander reading cards with standardized sentences in many languages. Unrelated words offer no contextual cues at all. However, the total absence of such cues disrupts the usual reading pattern. 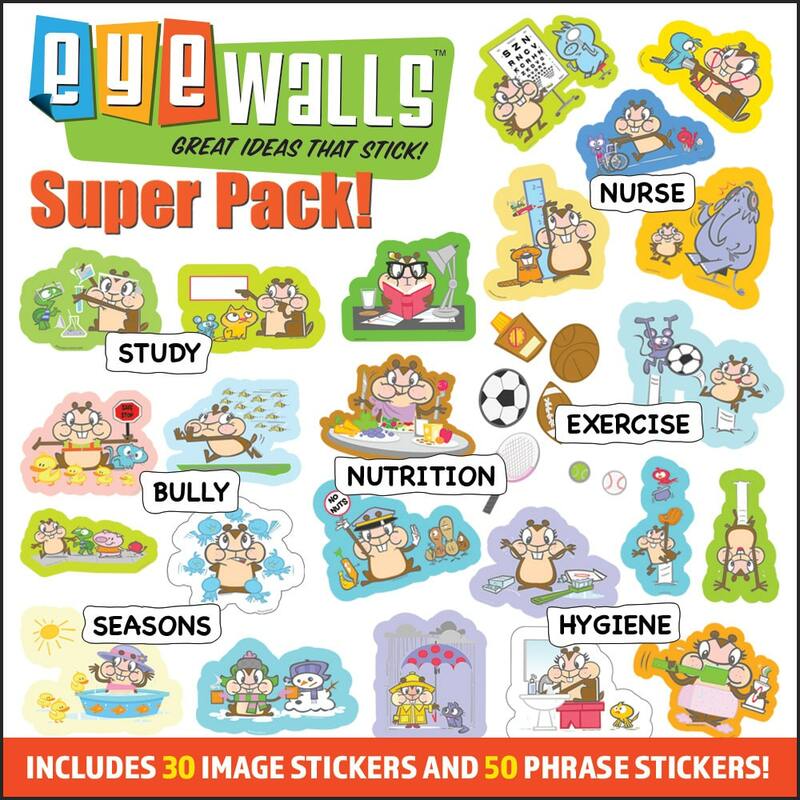 Such cards are best suited for conditions where reading is done word-by-word anyhow, such as for low vision patients who require high magnification. The absence of contextual cues also increases the error rate. This feature can be useful to get an idea about the presence of scotomata around the point of fixation. Remember that the goal of a reading test is to find a magnification level that will allow a sustainable reading performance. For this purpose the concept of critical print size is important. The critical print size is the smallest print size for which a reasonable reading speed can be maintained; this is one or more lines larger than the threshold print size. Best performance will be obtained if normal print is magnified to the critical print size, not just to the threshold print size as suggested by Kestenbaum’s rule. The standardized sentences on the Colenbrander reading cards allow the assessment of reading speed and critical print size. The statement is sometimes heard that near visual acuity and distance visual acuity are poorly related. This is a misconception, largely based on inaccurate measurement. Traditionally, US practitioners have used Jaeger numbers, which, as we have seen, are only labels, without a numeric value. Additionally, measuring reading distances in inches (non-metric) and reading corrections in diopters (a metric measure) does not facilitate calculations. 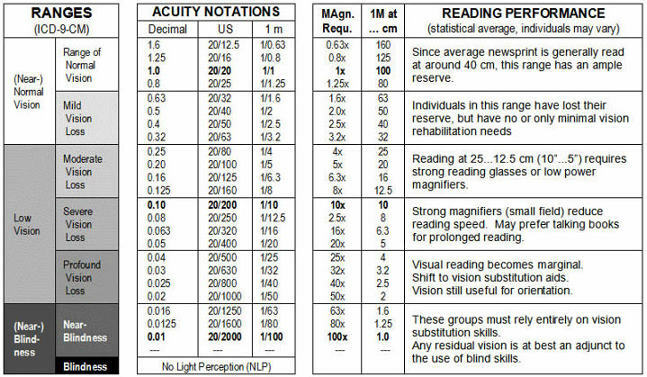 When reading acuity is measured accurately, reading acuity and letter chart acuity are closely related, but reading comfort and endurance generally require several lines more magnification than does threshold performance on a letter chart. V = m / M (in which V = visual acuity, m = viewing distance in meters and M = letter size in M-units). This traditional Snellen notation is convenient for distance tests, where m is a whole number. The formula is awkward for near vision, since the numerator (m) becomes a fraction-within-a-fraction. This can be avoided by inverting the formula and substituting D = diopters for the reciprocal of the metric viewing distance. 1/V = M / m = M x 1/m = MxD or: V = 1 / MxD (where D = viewing distance in Diopters = 1/ viewing distance in meters). 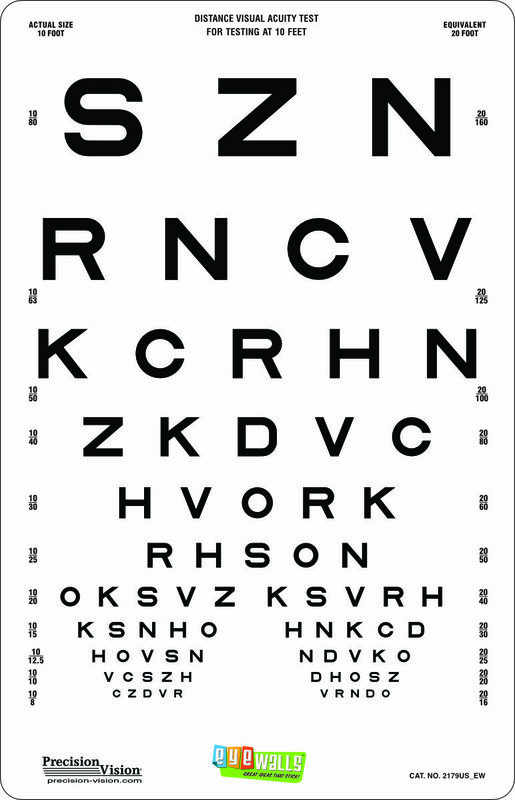 This modified Snellen formula is convenient for reading vision, since all components have direct clinical value: 1/V indicates the MAgnification Requirement (see definition of visual acuity) and M-units indicate the print size read. The viewing distance measured in diopters relates directly to the required reading add (or accommodation in younger people). The formula does not require a pre-defined or standardized viewing distance. Precision Vision offers small reading cards with a 40 cm cord attached. These cards require no calculations, since the visual acuity values for use at 40 cm (16”) are printed on the card. They are appropriate for the vast majority of patients who have normal or near normal visual acuity and for whom a “one size fits all” reading distance is adequate. Precision Vision also offers large reading cards for use in Low Vision services, where other reading distances may be needed. That card can be used at any distance; a ruler calibrated in diopters is supplied to facilitate the use of the modified Snellen formula.